I guess we're all gentlemen over a certain age. I've had to admit to myself that I'm slowing down. 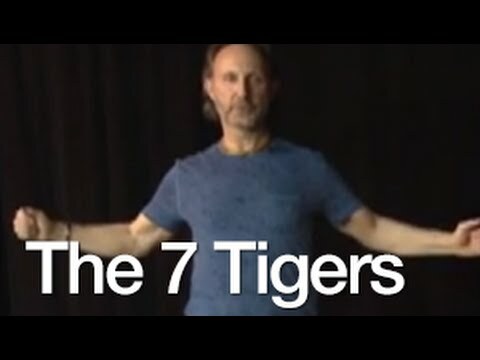 I needed something for toning that I could take into later life and I think I've found it in the 7 Tiger Moves. These can be made as hard or as easy as you like. They involve dynamic tension, ie working one muscle group against another for a super efficient workout without weights or special equipment and no danger of dropping, falling or jarring. The secret is to work out mindfully concentrating on the muscles you want to target and I'm sure they can benefit anyone whatever the effort. Dynamic tension can be used to build muscle too but the effort and time required equates to a workout as serious as any gym routine. I recommend a light to medium regime for conditioning and rejuvenation only. Here are the 7 Tigers. I am indeed a gentleman of certain age, and unlike your good self KP, have not always paid much attention to staying fit, or getting fit in the first place. That has changed in the last few years, as a result of certain realizations on my part. Anyhow, cheers, I think this could be a good thing for me, I'll give it a go! Little and often is the key, I've found. There is absolutely no point in a diet or fitness regime that is so long, so gruelling and so tedious that you cannot keep it up. Add to the above this advice and your routine should be done in just 15 minutes every other day. In a couple of weeks you'll be feeling new again. Already there on the cakes/sugar/white bread etc. - I just don't touch the stuff (reformed diabetic) - nothing like learning the hard way is there? All good stuff though, and much appreciated, cheers! No beer ? Aaaargh ! I've heard that diabetes can be reversed and the body reset through strict dietary control. Is this true ? 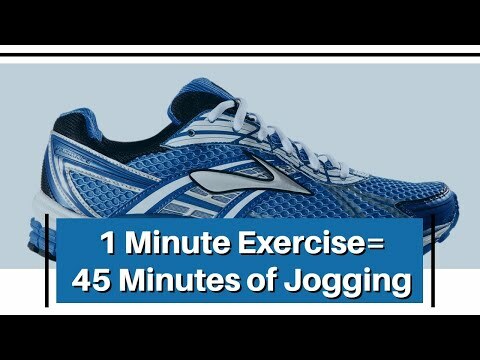 Start with five minutes exercise a day and build up. All of it mindful and correctly performed. Quality not quantity is key to this. The shortness of the routines is effective not least because concentration levels remain high. Indeed, no beer! or whisky... No white bread/potatoes/pasta/white rice/cake/anything with significant sugar... This is just me, as a result of specific health considerations I have, I should add. I've heard various things re "reversal"/"curing"/"putting symtoms into remission" of diabetes. The most recent I recall is a suggestion to restrict calories to about 250 a day for two weeks, or was it longer?, based on a study in mice. Perhaps it's worth a try I suppose, but I do think there is an awful lot of ill-informed talk about this stuff, and to some extent it allows those so-inclined to stereotype people with diabetes (type 2 anyhow) as all being a load of lazy fat slobs without any self-discipline, who don't care about the cost to the NHS. I get this quite a lot from people, if I'm daft enough to mention the diabetes - "why don't you cure yourself?" - honestly I don't think it's as at all as simple a situation as the media portray. At present I go for a brisk walk nearly every day, often for an hour or more. I go fast enough to get the heart pumping and build up a bit of a sweat. I've no doubt that this has improved my health and stamina a lot. But I do take on what you say about shortness of the routines you link to - sustainability of any program has got to be a key thing. Brisk walking is one of the best things you can do. Wasn't having a go at you KP I should say - possibly you did by chance touch upon a bit of a bugbear issue for me there though. For what it's worth, I do think there's good evidence that people in the earlier stages of diabetes can indeed reverse things, and very possibly it's the case that some (but perhaps not all) that have had the condition longer can do so also, or maybe at least lessen the severity of their diabetes. I would like to see more research done on all this too, but I am a bit wary about going near starvation diets because of something somebody read in The Daily Mail or whatever. Can imagine how annoying the "wash properly" advice/face scrub present would have been! People can be thoughtless at times I'm afraid. Starvation is part of our natural state so I can't see it doing any harm for a short period. Some research shows it's actually good for us. The smaller version is easier to use and causes less stress on joints and tendons. I'm 34 days into the 90 day challenge and I'm getting seriously impressive results - this with only about 15/20 minutes 5 days a week. My wife can't stop touching my new pecs and guns. I use the 7 Tigers too, which are good enough on their own but fit them in when I'm in down time at work. Goodness ! That sounded like a Bullworker advert ! X5 versions of the bullworker are available second hand for around £30 and are the best of the full sized versions. I feel better than I did at 18 (I'm 52) I'm more powerful than I was on a riot squad at 24 ! What are you waiting for, chaps ??? Yup. You're definitely in the wrong job ! Though my spare time is when no-one else is around. I work most weekends, bank holidays and mostly in the evenings or very early mornings - book on at 1am, 3 am anything stupid am that they tell me to. A 5 am book on is a lie in and that is no joke !!! But always time ot walk the dawgie and get some fitness in. As for bands or clubs ? Forget it. I'm either working or sleeping. I walk the dog twice a day, too. The thing is, there are so many things that one could do if one can spare half an hour a day. There are language tapes that assure you in just 30 minutes a day you could learn Italian. Or master chess. Or calculus. With 30 minutes practice a day you could become proficient at the piano or the trombone. Learn to sew or bake. Build muscles like Charles Atlas or calm your mind through meditation. Improve your businesses online penetration through just 30 minutes blogging. A hundred things. The tiger moves look interesting and I might well invest some time. I should invest some time... but do I give up practising the guitar? Writing? Cycling? Reading? Fishing? Photography? Walking Alfie? He's not keen to go out today! You could do pyramid training with three dogs. Alfie, a whippet and a labrador - to give variety in weight. After you have done all that training with Alfie, a whippet and a labrador, wouldn't you be dog tired? Left Alfie at home and went for a bike ride, today. I was only joking, Derek ! I didn't mean for you to really neglect your dog. He will be in the dog house now. Get well soon, Alfie ! The most time and energy efficient routine I have come across. I really have to get fit in the first place - I will try and take some inspiration from this thread. I decided about a month ago that I needed to do something toward getting fit. I'm now 60 so most activities are presently beyond me. But I enjoy a spot of cycling (no lycra involved). I decided that in the three months left of 2018 I will cycle 250 miles or about 20 miles a week. Well so far so good, I started Tuesday 2nd and have so far done 69.83 Miles (I record it on a simple phone app). I'm not stunning in any respect although I notice my recovery time is much faster already. The only danger is that I might have to forgo some other healthy activities (like my allotment) to do the routine when the weather is nice. Anyway props to everyone trying something, it's the only life we have.